(VEN) - European businesses seeking investment opportunities in Vietnam in order to benefit from the EU-Vietnam Free Trade Agreement (EVFTA) are expressing growing interest in the country’s pharmaceutical industry. Vietnam currently has nearly 180 pharmaceutical manufacturing plants, about 150 of which meet good manufacturing practices (GMP) standards set by the World Health Organization (WHO ). With stable annual growth and strong competitiveness and financial capacity, some businesses, such as Traphaco Joint Stock Company and DHG Pharmaceutical Joint Stock Company (DHG Pharma), have become leading businesses in the Vietnamese pharmaceutical market. 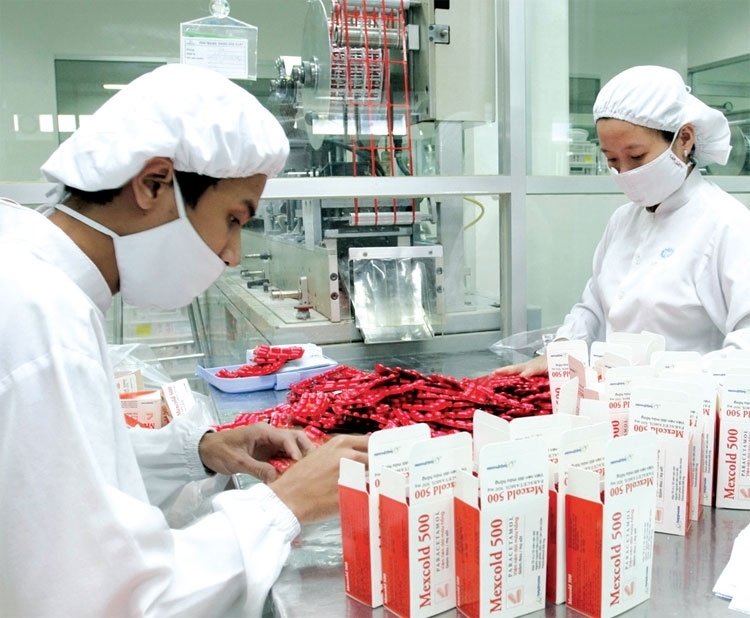 However, experts point out that the Vietnamese pharmaceutical industry still suffers from a lack of long-term development strategies, ineffective marketing techniques, and outdated distribution systems. Only less than one percent of domestic pharmaceutical companies have received patents for producing drugs - this reflects the limited creativity of domestic pharmaceutical companies. Moreover, investment in research and development accounts for a mere five percent of their revenue. Domestic pharmaceutical products are manufactured mostly according to conventional dosage forms. The application of high technologies, as well as the range of specifics, remains limited. Each year, the Vietnamese pharmaceutical sector uses about 60,000 tonnes of materials, 80-90 percent of which are imported. China and India are the two largest pharmaceutical material exporters to Vietnam. The pharmaceutical sector’s export value is equivalent to five percent of its import value and 2.5 percent of total sales. Its major export markets include Russia, African countries, Myanmar, the Philippines and Cambodia. Despite the limitations, the Vietnamese pharmaceutical market has achieved the highest growth rate among those in the Asian region. Pharmaceutical spending per capita in Vietnam is US$40. Although health expenditure per capita in Vietnam is not high, a market with more than 93 million consumers promises big opportunities for the domestic pharmaceutical market. Moreover, Vietnamese people are becoming growingly interested in healthcare products. Over the past five years, sales of over-the-counter (OTC) medications, such as vitamins, dietary supplements, weight-loss drugs and traditional herbal medicines, have increased steadily at a double-digit rate. According to market research firms, the Vietnamese pharmaceutical market grew 17-20 percent annually from 2010-2015, and its growth rate is expected to exceed 17 percent this year. The size of the market is predicted to increase to US$7.2 billion by 2020, from US$4.2 billion in 2015. The pharmaceutical sector is pursuing the goal of meeting 100 percent of domestic consumer demand for medicines, 80 percent of the demand for finished pharmaceutical products and 20 percent of the demand for medicinal materials by 2020. It also expects to raise the percentage of generic drugs registered for bioavailability and bioequivalence testing to 40 percent. The new Pharmaceutical Law adopted by the Vietnamese National Assembly in 2016 took effect on January 1, 2017, creating a new source of vitality for the domestic pharmaceutical sector to take advantage of opportunities offered by free trade agreements. Bradley Silcox, Chairman of EuroCham’s Pharma Group, says European businesses show special interest in the Vietnamese pharmaceutical industry. 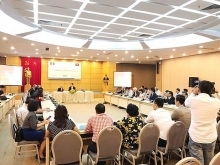 He believes EVFTA, which will take effect next year, will create favorable conditions for European companies to invest directly in Vietnam rather than opening representative offices here. Silcox believes the new Pharmaceutical Law facilitates consumer access to high-quality products. This is especially relevant given the growing regional demand for medications used to treat chronic illness, such as diabetes, cardiovascular disease and cancer. In September 2016, the Sanofi Group (France), one of the world’s 20 largest pharmaceutical firms in terms of revenue, announced the signing of an agreement to expand strategic cooperation with the Vietnam Pharmaceutical Corporation (Vinapharm). Under the agreement, Vinapharm will manufacture and market all types of Sanofi’s medications in Vietnam, as well as its exports to the Asia-Pacific region. Most European businesses share the opinion that their technological advantages and applied research achievements could help Vietnam become ASEAN ’s pharmaceutical manufacturing hub in the future. To take full advantage of EVFTA, however, Vietnam needs to apply suitable investment attraction policies to facilitate foreign business access to the pharmaceutical sector. In addition, Vietnam should concentrate on developing the domestic pharmaceutical distribution network and connect it to other ASEAN countries. For their part, domestic pharmaceutical companies need to take a positive look at opportunities presented by free trade agreements. At a recent meeting with the media, DHG Pharma General Director Pham Thi Viet Nga said she believed the presence of businesses from Europe, America, Asia and ASEAN in the Vietnamese pharmaceutical market would help deepen Vietnam’s participation in regional and global value chains. According to Pham Thi Viet Nga, along with manufacturing and selling its own products, DHG Pharma will take advantage of its sales network and facilities meeting good storage practice (GSP) and good distribution practice (GDP) standards nationwide to trade in exclusive products of multinational groups. This will pave the way for the company to provide outsourcing and cooperate with foreign firms in late stages of production. If it finds suitable partners, DHG Pharma will also franchise its technology and the brands of products which have become reputable in the domestic market. “We are willing to associate with foreign partners to build manufacturing facilities overseas with DHG Pharma holding at least 51 percent of their stock,” Nga said. When investing in new products, pharmaceutical businesses pay greater attention to research and are willing to negotiate with research institutes or universities to buy their scientific research results. Vietnamese pharmaceutical companies share with European businesses the opinion that EVFTA will provide opportunities for the pharmaceutical sector to create quality products for not only domestic sale but also export.